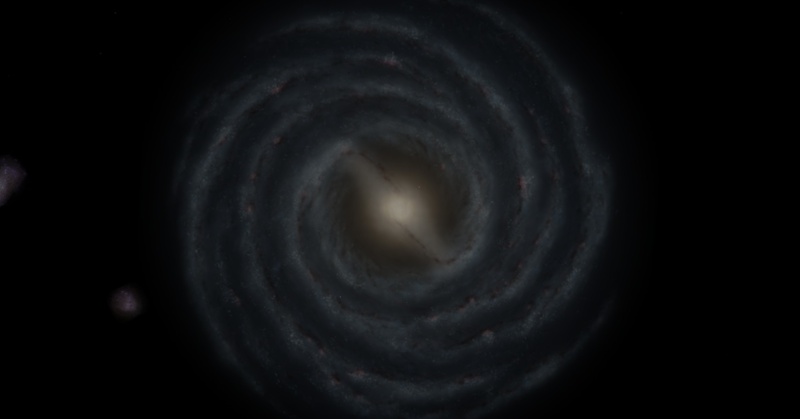 Something that could increase galaxy realism. 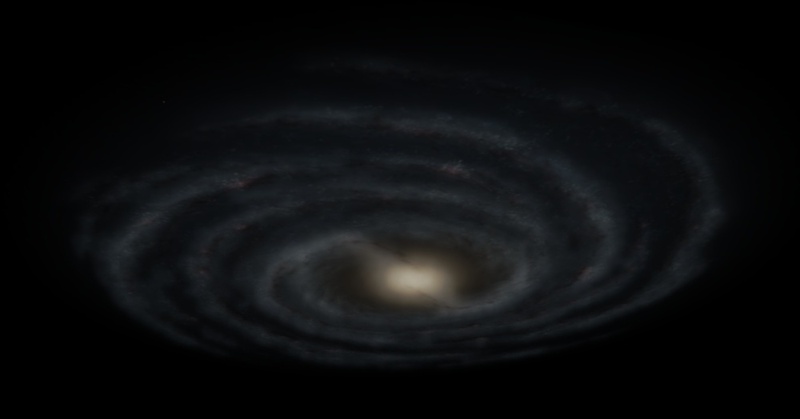 The galaxy renderer of Space Engine is already great, and I had an idea to improve it a little bit. We can recognize the stretched sprite, like a billboard effect. 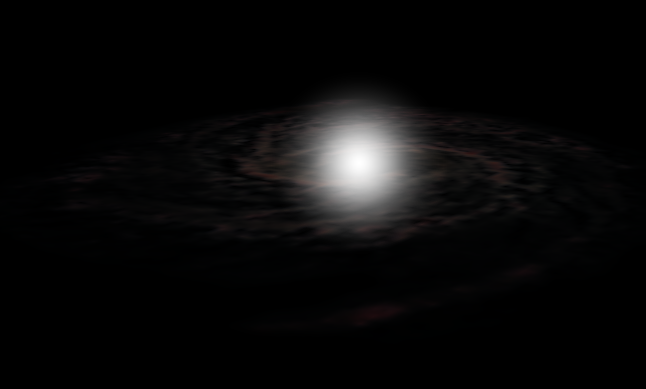 I think this could be hidden by adding a thickness map for the galaxy, distording the original sprite (like a bump map), and this can render a more realistic 3D galaxy. And I can't understand what you have suggested. How it is possible to distort the sprite? These words have no sense to me. @voekoevaka: Maybe you could give an example of the effect you're talking about? Also, what FOV do you have it on? I leave it on default and like apenpaap said, it could be a matter of perspective and an effect of the FOV. I've made some SketchUp models to explain better that I've tried to say. I think I understand, it's the lack of the galaxy's bulge glow when you look at the galaxy from a top-down angle. I think he means that although the galaxies in SE have volumetric dust and 'fog' which have thicknesses, the actual texture on the galaxy does not (it's a 2D image of what is really a 3D object). 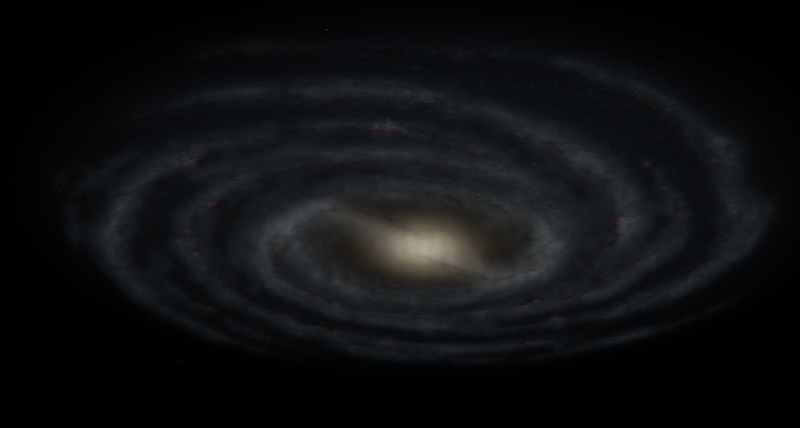 This means that from a shallow angle the texture itself looks stretched (ie it accentuates the fact that it's flat), so his suggestion is to apply it to some 'thickness map' to make it 3D like the rest of the galaxy is. Problem is I can't see how that can be done without it looking really bad. Wouldn't giving a high-res 2D texture thickness make it end up distorted/blurry/unnatural looking? Wouldn't giving a high-res 2D texture thickness make it end up distorted/blurry/unnatural looking? Surely. Maybe with some dust-sprite it could do the job. I agreed that one of the weakest point of actual sprirals galaxies in SE is that they all are "flat" ( exept the bulge effect), but this issue will maybe only apply to catalogs galaxy, because SE is writing the code for Procedural models of galaxies and maybe he will add some volume/distortions to galaxies generations at that time.